I tried both the USB modems, but, i'm only satisfied with tata's Photon+. breaks. Also, there was a lot of billing mistakes, when i bought the broadband +, it was bundeled with free usage of 1 month, as per the plan taken. But, after the 1st month, the bill shocked me fully. It was for Rs. 5882. Whereas, the credit limit was only set at Rs.2500. On enquiring, reliance was having no answers to it. they only asked to pay the amount. But, the amount was never paid. And i shifted to photon +. Photon + was launched late than the Broadband +, but they launched it after a good amount of surveys and network tests themselves, to ensure better connectivity after it is launched. Photon never showed any signs of problems or network issues (Signal Strength always remains an issue with reliance, even on 1x, its towers can stop working anytime). Even, the speed is quite good (even faster than the Broadband+). The only thing that makes support to reliance is its rural base. Tata doesn't have much connectivity in rural areas, whereas reliance mostly covers every rural area. I don't know whether Reliance has made some improvements or not, But the beginning was so bad, that many users stopped using it. A modem is a device that converts digital signals, from a computer, into analog signals for transmission over telephone lines. A modem also converts incoming analog signals into digital signals. 56K means that this type of modem has the ability to transmit at up to 56,600 bps. 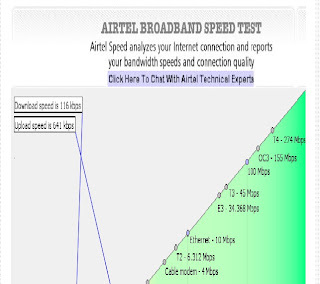 ADSL is a type of high-speed Internet access for consumers. ADSL stands for Asymmetric Digital Subscriber Line. This is a technology that allows for digital transmission over existing telephone lines. The term 'asymmetric' refers to the fact that the speed that you send data can be different than the speed that you can receive data. 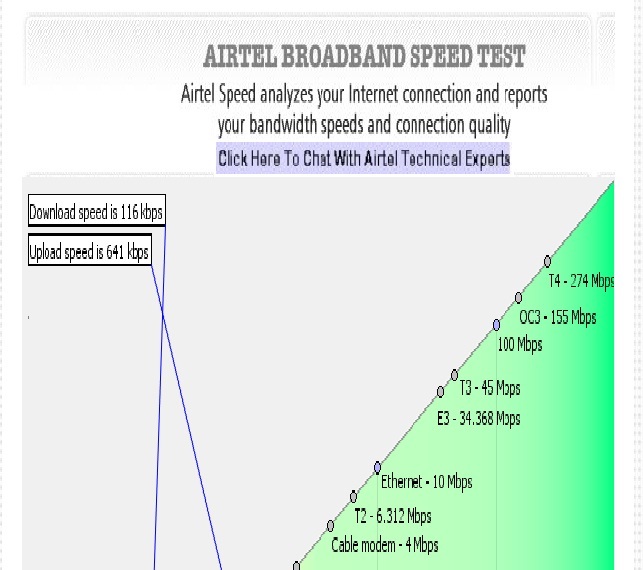 Therefore, a typical user will have a faster download speed than upload speed through ADSL. ADSL service is typically many times faster than a 56k modem while allowing for regular phone/voice usage simultaneously on the same telephone line. ADSL service is an "always-on" type of connection, which is especially vulnerable to hacker attacks. Users can prevent unauthorized access with a software firewall product. Bandwidth refers to how much data is transmitted over a given period of time. For digital devices, bandwidth is measured in bits per second (bps). For analog devices, bandwidth is measured in Hertz (Hz). bps stands for 'bits per second'. bps is the standard measure of data speed or data transmission. This is measured by how many bits of data are transmitted or received over a one second period. This term is loosely used to describe high-speed Internet access. Cable modem service is a type of high-speed Internet access offered by local cable companies for consumers. Using the same coaxial cable used for TV signals, the speed of downloading data is typically many times faster than a 56K modem. Since cable TV was designed as a broadcast system, the cable is shared amongst many people in a small area, so download speeds can vary greatly throughout the day or week. Typically, upload speed is restricted to only 56Kbps, more than enough for normal, fast "surfing" of the Internet. Cable modem service is an "always-on" type of connection, which is especially vulnerable to hacker attacks. Users can prevent unauthorized access with a software firewall product. From an Internet user's point of view, to download a file is to receive it from another computer. In typical "surfing" of the Internet, the amount of data downloaded is many times greater than the amount of data uploaded. 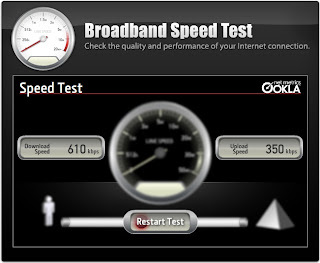 DSL is a type of high-speed Internet access for consumers. DSL stands for Digital Subscriber Line. This is a technology that allows for digital transmission over existing telephone lines. DSL service is typically many times faster than a 56K modem while allowing for regular phone/voice usage simultaneously on the same telephone line. Although DSL service does not exist in all areas, it is currently more available than cable modem service. DSL service is an "always-on" type of connection, which is especially vulnerable to hacker attacks. Users can prevent unauthorized access with a software firewall product. An ISP, or Internet Service Provider, is a company that provides users access to the Internet. Kbps stands for kilobit per second (thousands of bits per second, or bps) and is a common measure of bandwidth. A local area network, or LAN, is a group of computers and/or devices that share a common communications line within a small geographic area such as within an office building. A typical LAN can provide extremely high-speed Internet access with just one high-bandwidth connection to an ISP. Mbps represents millions of bits per second and is a measure of bandwidth on a medium such as a telephone line, cable line, or optical fiber. Depending on the medium and the transmission method, bandwidth may also be in the Kbps range or the Gbps (billions of bits or gigabits per second) range. From an Internet user's point of view, to upload a file is to send it to another computer. In typical "surfing" of the Internet, the amount of data downloaded is many times greater than the amount of data uploaded. @Anonymous: You can exchange links with my website i.e http://owntrix.blogspot.com, but, you can't exchange with http://blogger.com, as i only own the sub-domain. Blogger is a domain name owned by Google inc. If you want to exchange link with http://owntrix.blogspot.com, then just reply.